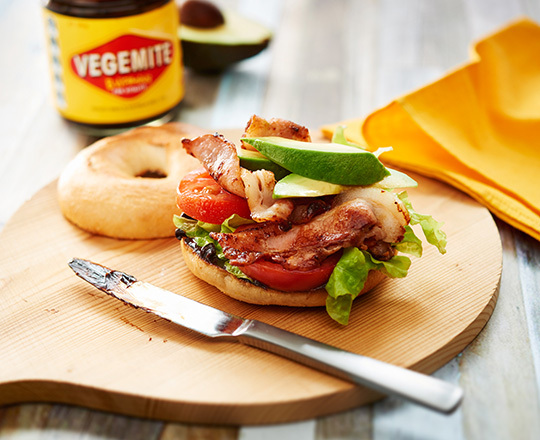 SPREAD the base of the bagels with butter if desired then Vegemite. Top with the lettuce, tomato slices, bacon and avocado then sandwich together. Serve immediately.